It’s over. The season is done. The World Championship has been lost and retirement beckons for an unhappy Lewis Hamilton. That is what some quarters of the media will have you believe after just three races where Hamilton and Mercedes have been missing from the top step of the podium. Given the events of the last four years, we are programmed for Mercedes dominance. But, with a potential changing of the guard on the horizon, there is clearly a glitch in the system for some who have responded by massively overreacting to Hamilton’s poor start in particular. Is he near his best at the moment? No. But he has been nowhere near as bad as what has been reported. Former team-mate Nico Rosberg was one of the first to paint this picture of a driver in distress, saying: “Lewis is not in form but he’s always had such phases. 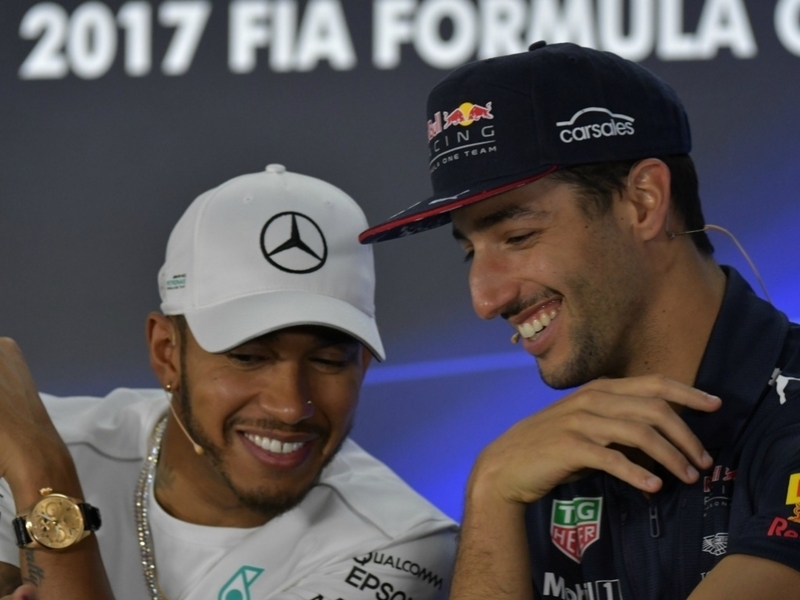 Then came Martin Brundle to take us to a whole new level of hysteria, suggesting that Daniel Ricciardo could replace Lewis Hamilton at Mercedes next season instead of becoming his new team-mate. “Hamilton doesn’t seem particularly happy at the moment, and I can imagine he will be super expensive to hire for his next Merc contract too,” Brundle said. “If that isn’t already signed, would Mercedes go for the four-and-a-half-year younger Ricciardo instead? There is jumping to conclusions, and there is driving into them at 200mph. In reality, there have been three pretty valid excuses for each race weekend that has seen Hamilton emerge without a win. In Australia, had it not been for a software bug that miscalculated the gap that Hamilton needed to maintain to Sebastian Vettel under the Virtual Safety Car, all the talk would have been about a trademark Hamilton performance and how ominous the season was looking after just one race. A hydraulic leak sustained in that race then had a knock-on effect in Bahrain, as Hamilton felt the full force of a five-place grid penalty for a new gearbox and moved him from P4 to P9 on the starting grid. A reminder that no driver has ever won the Bahrain Grand Prix from outside the first two starting rows. His chances were gone as soon as the lights went out. Then, in China, we saw Mercedes, who themselves admitted they had problems with the tyres all weekend, waste a huge opportunity to give Hamilton at least a chance of potentially pushing for victory when deciding not to pit him under the Safety Car; a decision which the Brit himself immediately questioned. And yet, all things considered, Hamilton finds himself just nine points behind World Championship leader Vettel which is just two more than at this stage last season. It is not the end of world. There is no question that Hamilton does have some work to do, especially after being out-qualified in consecutive weeks by team-mate Valtteri Bottas and with a very important contract still to sort out, but write him and Mercedes off at your peril.